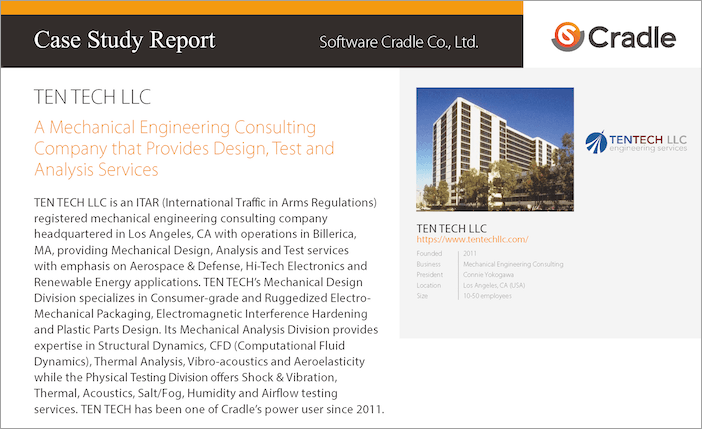 Software Cradle Co., Ltd, developer of coupled thermal/CFD applications such as scSTREAM and SC/TETRA highlights our engineering services group via a success story interview. In this interview, we discuss our use of scSTREAM for electronics cooling analysis, including highlights of some of our avionics projects. Head on to Cradle's website to read the full interview.